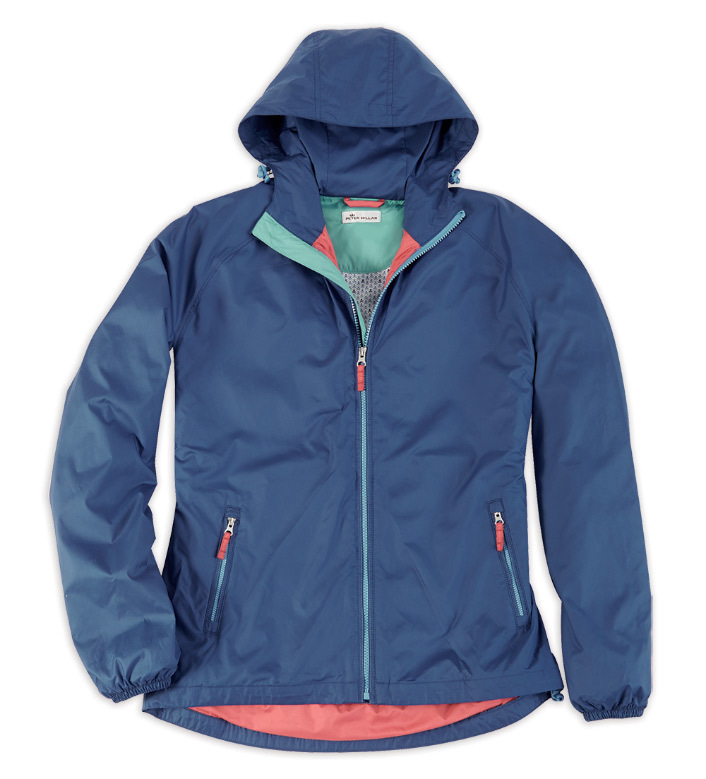 Wind and water resistant, 100% polyester. Zip front, zip pockets, drawstring hood and waist, elastic cuffs, vented canopy back, full lining, bottle opener in pocket. Machine wash. Imported.